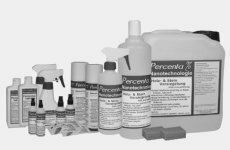 Percenta auto glass sealant is a coating material on a chemical nanotechnology level. Aqueous and oily liquids are simply repelled. Dirt, bugs, ice and other contaminants on windows can be removed easier. With our ultimate 'Clear View Nano Sealant', water, snowflakes etc quickly run off. Use of the windscreen wipers is not necessary at speeds of approximately 50 mph (80 km/h) and above. Frozen windows can be cleared much more easily without having to scrape. Rain, road dirt and splashes are simply repelled. Tar splashes, oil film, dead bugs and plant resins can simply be wiped off - even in excessively mucky cases. You will always have a clear view. The coating has been developed so that surfaces only have slight contact with particles of foreign matter. It will disappear easily without scouring or using chemical agents. Pre-treated with our 'Pre-Cleaner', the product can be applied directly onto the clean surface to create a thin and long lasting coating. Ranges of application: All car windows! 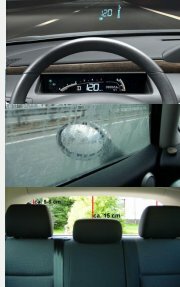 Regardless of the car make, the car glass sealant is suitable for every window. Ranges of application: All lorry windows!